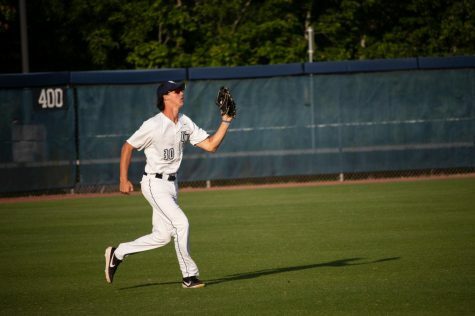 After a back and forth battle, the Ospreys rallied for seven runs in the bottom of the eighth for a 14-8 win over FGCU. Senior Jay Prather prepares for the incoming pitch. 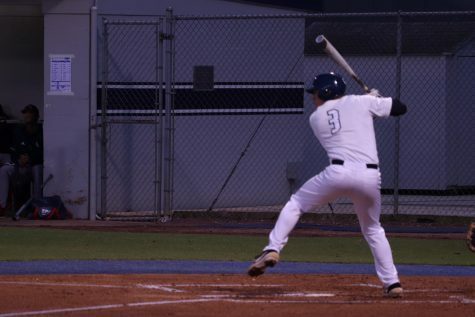 The Ospreys grabbed an early 2-0 lead from an RBI single from Junior Tanner Clark in the first and a base knock from Junior David Maberry in the second inning. Senior Nick Marchese had a quality start with six innings of two-run ball while allowing six hits and punching out five. In the top of the sixth, Junior Kohl Gilmore got the Eagles on the board with an RBI single to cut the deficit to 2-1. 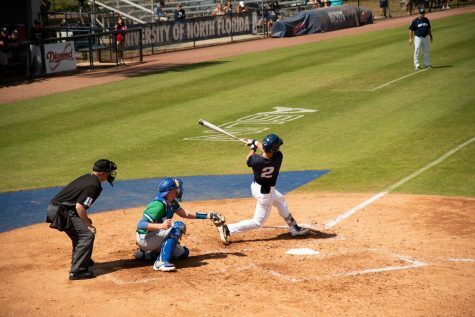 Seniors Chris Berry and Alex Reynolds plated four runners on RBI singles in the bottom of the sixth to stretch UNF’s lead to 6-1. 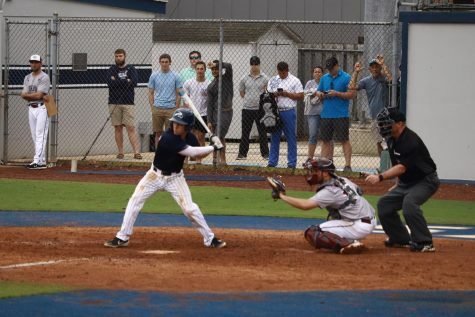 The first big fly of the game was hit by Junior Elijah Eusebio of the Eagles as he connected on a two-run homer in the top of the seventh to put the score at 6-3, Ospreys. Junior Blake Marabell countered with a homer of his own in the bottom of the seventh to add another run for a 7-3 UNF lead. The Eagles continued to battle as they scored five runs in the top of the eighth highlighted by a grand slam by Eusebio (his second of the game) for an 8-7 lead. 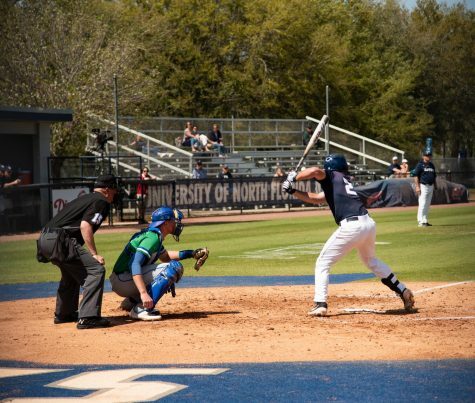 It was a hit parade for the Ospreys in the bottom of the eighth as they rallied for seven runs with a double from Marabell, a three-run homer by Junior Tanner Murphy, and RBI singles from Berry and Redshirt-Senior Wes Weeks for a 14-8 UNF lead. 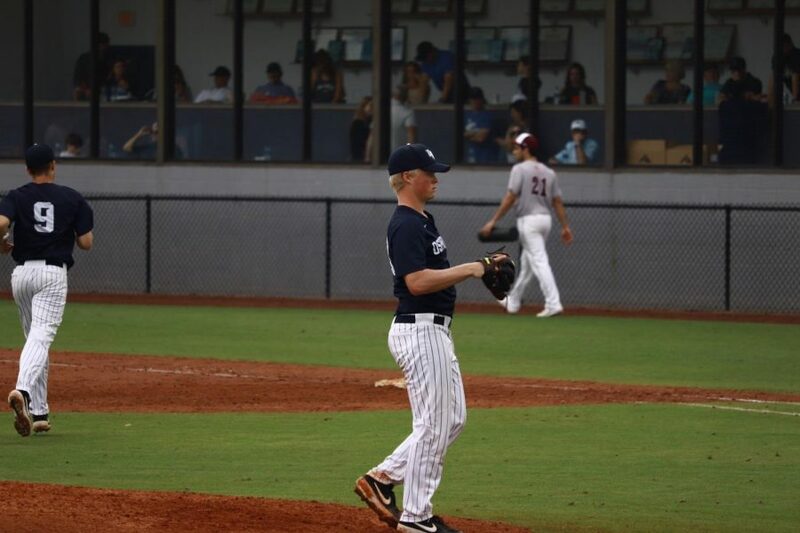 Senior Trace Norkus shut the door for the Ospreys in the ninth and collected the victory in the 14-8 win. 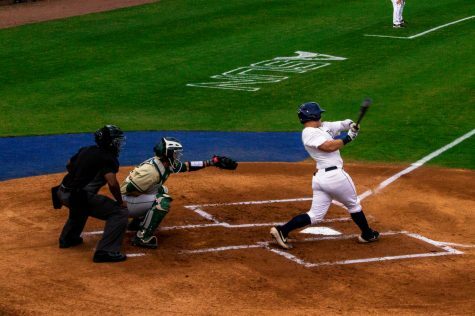 The Ospreys recorded 20 hits in the win. Murphy, Berry, and Marabell each drove in three runs. 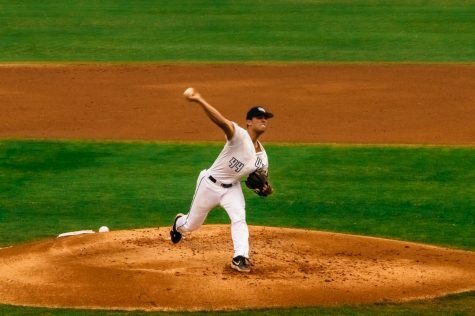 The Eagles used nine pitchers and allowed 14 earned runs giving away eight free passes. The Ospreys improve to 16-10 (2-1 ASUN) and the loss drops FGCU to 14-8 (1-2 ASUN). 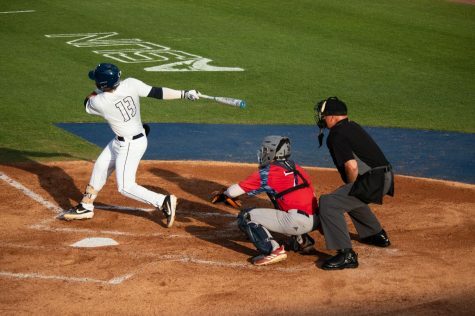 UNF heads to Orlando to take on UCF on Wednesday, March 27 at 6 p.m.